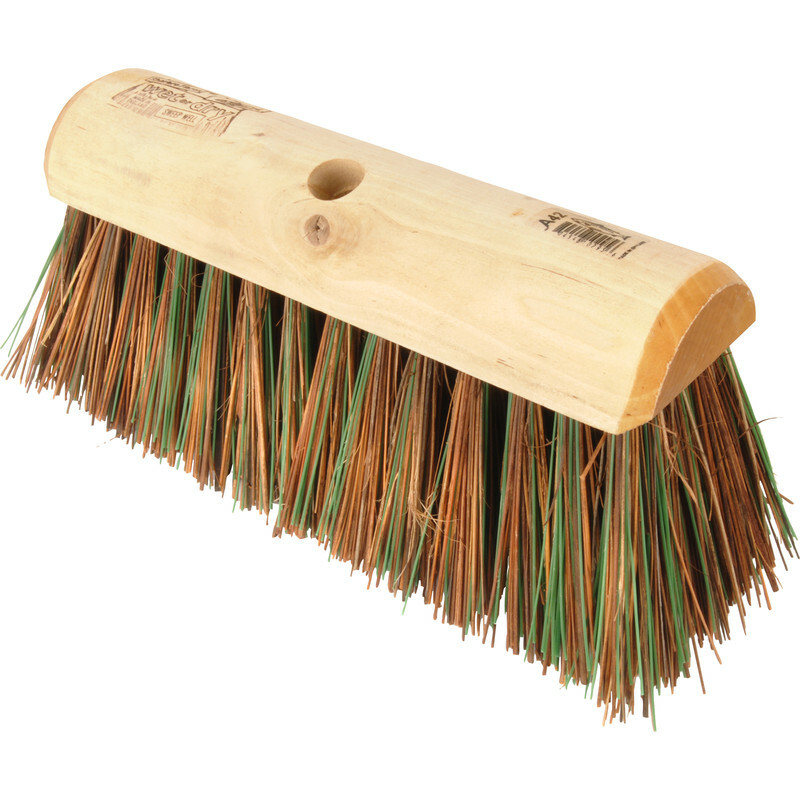 Stiff Yard Broom Head Sherbo / Green Polyprop 12"
Excellent in wet or dry situations. Use threaded handle 54517 . Made in the UK. Stiff Yard Broom Head Sherbo / Green Polyprop 12" is rated 3.6 out of 5 by 12. Rated 5 out of 5 by basa from great value does exactly what its supposed to do. Rated 4 out of 5 by Bob F from Proper stiff yard brush Wanted a traditional stiff yard brush. Most on sale have flimsy plastic handle bracket screwed onto a flat board. This is traditional split log type. Having seen poor reviews about the handle available I modified the brush to take a traditional 1" handle by simply drilling out the wooden screw thread (being careful not to drill right through the wood). The handle is a tight fit and I've secured it with a screw. Rated 5 out of 5 by Wheelbrace from Great Brush Does the job, great for my welly boot cleaner. Rated 1 out of 5 by hannothemanno from Disappointed. The broom head has a threaded hole, so it is recommended that a matching stick also threaded, is bought at the same time. I did this. It seemed a really good idea. Sadly we could not get the stick and broom to screw together, so returned both. Rated 1 out of 5 by Jack61 from Very poor broom/handle screw connection Despite being firmly screwed together, handle parted company with broom head after 5 minutes of gentle use. The broom head seems too heavy for recommended handle. Metal screwed together now.